Residential Vaastu, Commercial place vaastu, Vaastu for Industries, Astrology, Numerology, Feng-Shui, Pyra-Vaastu, Map Analysis, Horoscope, Site Visit and many other Consultation are available with prior appointment. Pt. Gopal Sharma, a world renowned Vaastu/Feng Shui expert and Astrologer, born in a revered family of Vedic scholars & spiritual healers, is an engineering graduate of 1973 batch, from Delhi College of Engineering; and a luminary in many fields. for both residential and commercial properties. Astrology Courses : Ratan, Bhushan, Prabhakar and other advance courses. 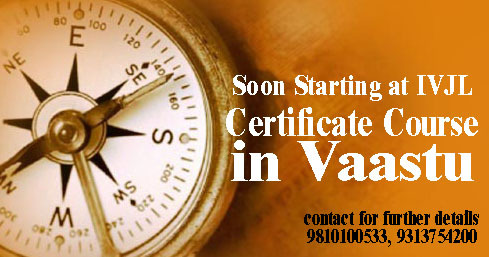 Vaastu Courses : Certificate, Diploma, Advance Doploma and PG Diploma. Palmistry Courses : Certificate & Diploma courses available. Pracharya Sewaram Jaipuria, a leading Astro-Numero expert & Gem Therapist is a luminary in many fields. He is the Principal of IVJL; the prestigious center for learning various occult-sciences in Delhi and across world. We provide vastu services for residence and commercial establishments, Feng Shui consultancy, Astrology Services and Numerology analysis. We have earned appreciation from the clients for providing accurate and effectual Astrology Services. Our service helps one to improve their married life, career, studies, business, stock market, etc. Energy – change your future prospects as desired, decided by lines of your palm, makes you feel better in all means. We provide reliable Palmistry Analysis to the clients based across the globe. As a Professional Numerology Consultant, we have provided maximum benefits to the clients and satisfied their requirements. The science has the power to influence our lives, whether we believe in it or not. We create 100% original and unique Logos that bears the clarity and consistency of your Brand/ Company Image and represents it appropriately thus promoting recognition amongst your customers / consumers. The Gold Standard in Planetary Gemmology. Explore the vast ocean of gems and their effects and find the exact gem that will bring desired results. Get your Gemstone consultation today. Institute has made a very humble beginning in this millennium to spread knowledge to people about the ancient Vaastu Shastra, Astrology, Palmistry , Feng-Shui, Reiki and Pyramid powers. We have dedicated and professional faculty at IVJL.